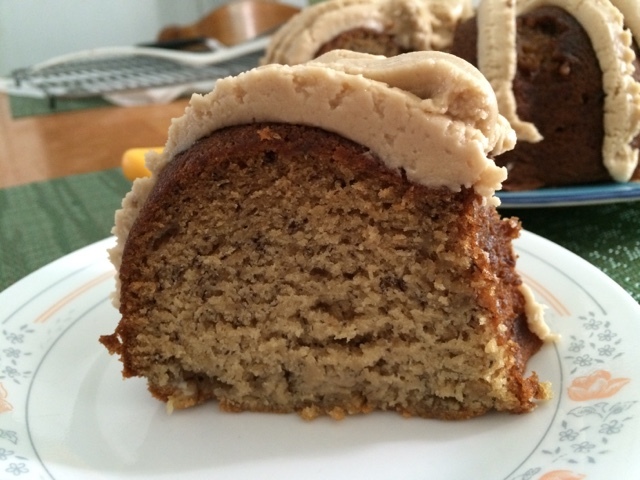 The Vegan Mouse: Banana Bundt with Frosting. I had a bunch if bananas that were very spotty so I decided to make cake. But the question was, which one? 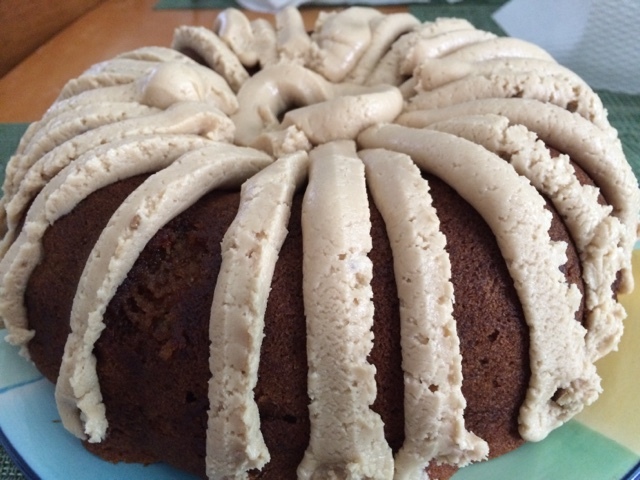 I was bored of my go-to banana cake do I opened up My Sweet Vegan and picked out the Banana Foster cake recipe. This one is rich with margarine instead of oil, both white and brown sugar and lots of bananas, five I think. The only thing I didn't have was rum so I left it out. And I also didn't top it with caramelized bananas because laziness. So it's just a banana cake minus the foster. It came out soooo sweet and tender! To be honest it didn't need the frosting though it was delicious and brown sugary. I will def make this again! The frosting looks very fluffy!!! Oh my. Prince Harry and Meghan Markle want banana cake for their wedding. This should be that cake.